New York developers have been reluctant to embrace solar, despite big cost savings and beautiful new designs. That creates opportunity for the bold. I love New York. I can walk outside, look up and get a lesson in history just from looking at its buildings. Not only is it the birthplace of the American dream, its skyline is an icon of industry, capitalism and our intention to always go bigger and do better. As a local contributor to that skyline, it’s personal, but this home of mine is slower in keeping up with the sustainability Joneses than a city of 8.4 million people should. Meanwhile, smaller cities in California and Arizona are saving money big time by installing solar panels on large commercial buildings -- something that NYC lacks. Don’t get me wrong, New York State is one of the top 10 “solar states”, but when you break it down per city, per capita, medium-sized cities like Phoenix and Denver are ahead of NYC, and you can’t blame it on sunlight either. Indianapolis, which gets less sun than New York, ranks higher. In larger cities like NYC, the arguments against solar panels are starting to fall short, especially because solar panel installations have become “ridiculously cheap” according to Bloomberg New Energy Finance, and the price continues to decrease. With Mayor Bill De Blasio’s ambitious goal for NYC to hit 80 percent renewal by 2050, why is New York still seemingly behind the times? Currently, while there are a slew of federal incentives to promote sustainability, state-level credits vary dramatically. California gives an investment tax credit (ITC) that comprises 30 percent of the total system cost, on top of an existing 30 percent federal tax credit. New York isn't quite there, but does offer a close 25 percent in tax credits. Given that New York is a highly developed state with world-class economic, social and political institutions, it is surprising that it lags ever-so-slightly behind California. After all, not only is it easier and cheaper to install solar panels than ever before -- it's untapped money. Our West 42nd Street Atelier property, for example, recouped the installation cost of our solar panels within two years. Clearly, there isn't just a "green" environmental dimension; there's also a "green" financial one as well. "Trump's possible efforts to end incentives for alternative energy development would boost near-term demand for fossil fuels," said a report by analysts at S&P Global Platts. "A potential cut in the Investment Tax Credit to 10 percent from the current 30 percent would slash solar installation demand by 60 percent." In other words, the cost factor, which wasn't much of an issue in 2016, may become the decisive factor for developers in 2017. For now, it's too early to tell, and developers don’t like the unknown. The general consensus is that solar panels are ugly right? Wrong. The dynamic and unique thing about New York is that it is always frenetic, always modernizing which has its challenges when working within the infrastructure of established sacred ground. But New York is great at adapting, and beautifying solar is currently in a New York state of mind, especially for me when we were planning the installation of solar panels in our Atelier project. We made sure the Atelier’s solar panels would add a complementary sleek and modern feel to the structure, adding instead of taking away from the aesthetic value of the original edifice. The “eyesores” of yesterday have gotten facelifts and are fast becoming the high-tech structures of now. 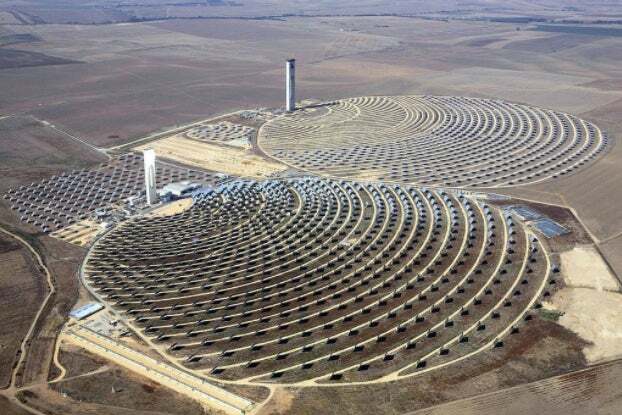 Travel farther East and you’ll find the antithesis of the “solar is ugly” argument in Spain. Its Gemasolar Plant is extremely efficient and startlingly beautiful. In case you’re wondering, that breaks down to around 30,000 tons of CO2; and did I mention it runs 24/7? Then, there’s Tesla. No one combines tech and sustainable like Elon Musk. 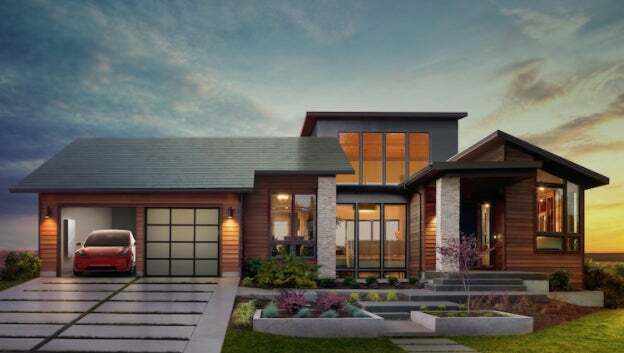 Musk’s announcement of Tesla’s new solar roof tiles and spare Powerwall 2 battery for homeowners may be the most effective means of taking the perception of solar panels from awkward to “good-looking”. And his beauty has some bite. According to Elon, Tesla’s materials -- terracotta clay, slate tiles, and high impact resistant glass -- will hold up to more than just sun and rain, or even hail. With this “fashion statement”, Elon Musk reveals his intrinsic understanding of the public: Build it, they will come. Make it beautiful on top of that, and they will flock. Though this speaks more to the homeowner than the big project developer, I would consider the “solar panels are ugly and inefficient” theory properly debunked. So why aren’t real estate developers moving in droves to install solar panels on all commercial properties in New York City? Even if Trump cuts the federal ITC for solar, state tax incentives will remain intact -- still a very compelling incentive. But even in our ultra-modern city, those attached to the purse strings of these projects can play it a little safe. Best answer may be that it just hasn’t happened yet, and that more and more "safers" will come around. Until then, I’ll continue to urge real estate developers and investors to do their part; they’ll have to if we plan on getting to 80 percent renewable by 2050 (which I have all the faith in the world we will). We are in plans to continue incorporating solar panels and other sustainable initiatives in our properties. I’m hoping that our success in saving and making revenue because we use solar panels will be the best form of convincing.